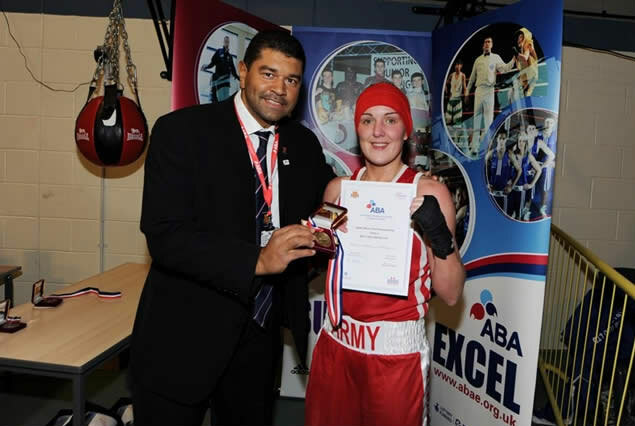 Boxing in the Army is a sport for both males and females on a completely equal footing, which is reaping real rewards for the Army Boxing Team. The opportunities for females to box are wide ranging from unit level boxing with no previous experience to European Champions joining the Army. The female squad train and compete alongside the men and the Army Boxing Team is exactly that, a team of strong minded committed individuals who perform better with the support of their team mates. If training in 1ST Class facilities with international boxers with top quality coaches is your aim ARMY BOXING is where it is at!